To make the Curds for the receipt (recipe), To make Curd-Cakes, a piece of a cleaned and dried rennet stomach was infused into blood warm water and the infusion added to the raw milk. Once the curd is set, it is cut and heated in the whey that is released. 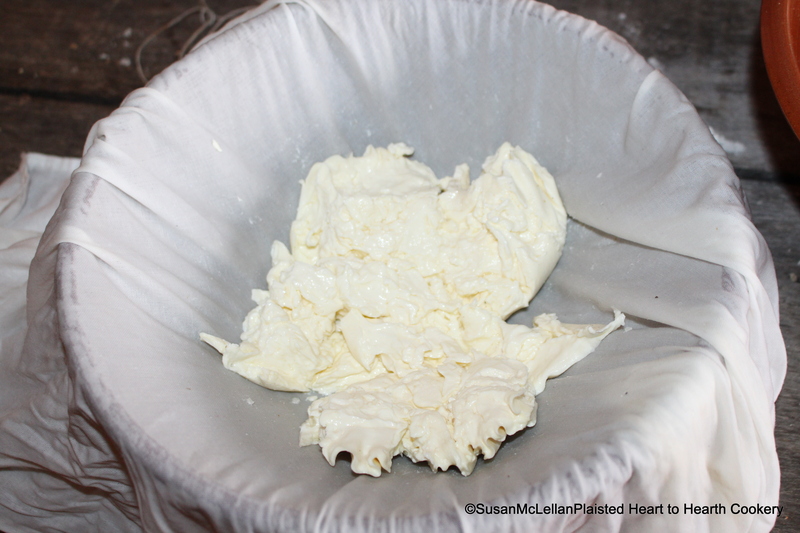 Pictured is the curd after it has been drained of all the whey in a cheese cloth (linen).